A timeless lullaby poem wonderfully reimagined by award-winning illustrator David McPhail--now a board book! 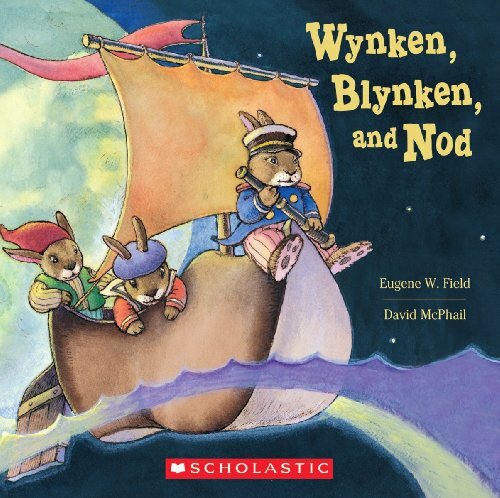 Wynken, Blynken, and Nod take children on a magical journey into the night sky--where the three fishermen sail in a wooden shoe, capturing stars in nets of silver and gold and laughing along with the moon. This classic bedtime poem is illustrated with adorable bunnies by David McPhail. If you have any questions about this product by Cartwheel, contact us by completing and submitting the form below. If you are looking for a specif part number, please include it with your message.